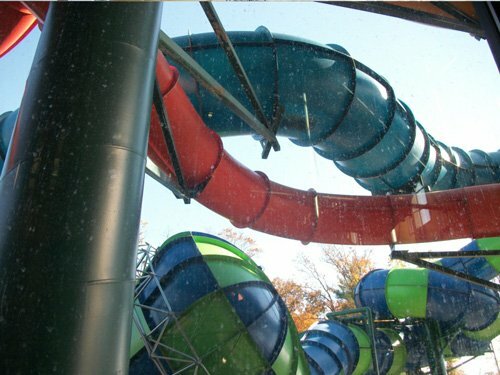 With the arrival of 2012, outdoor waterparks across the country are promoting and selling their season passes online. Properties are offering incentives to past season pass holders to renew, and new pass holders to purchase, prior to the end of the year. Season passes are an important component of almost every outdoor waterpark marketing plan and the attendance and revenue they generate are critical building blocks of operating budgets. Season passes provide dependable attendance and upfront cash flow while allowing for user flexibility which may impact length of stay or in-park spending. Season passes are the outdoor waterpark equivalent of community pool memberships. Season passes are marketed to guests who will plan on visiting multiple times or who are interested in the added value that often comes with a season pass. Properties often sell and promote several types of season passes including premium passes that include additional benefits such as admission to other parks in the company chain, free season pass parking, and in-park discounts not available with the standard season pass. This article analyzes the top performing outdoor waterparks and their season passes and review price points and incentives used to sell season passes for the upcoming 2012 season. A waterpark is a type of amusement park that features water play areas such as water slides, splash pads, wave pools, lazy rivers, and swimming pools. Outdoor waterparks are generally seasonal and are highly dependent on the weather. Outdoor waterparks, which evolved in the late 1970s, have become increasingly popular over the years. The United States has the largest and most concentrated waterpark market in the world. Hotel & Leisure Advisors defines an outdoor waterpark as those facilities offering three or more larger water slides. According to research performed by Hotel & Leisure Advisors, more than 380 larger waterparks exist within the United States. The following table identifies, by region, the 2011 supply of waterparks as defined above. There are numerous additional smaller aquatic facilities, some of which claim to be waterparks, located throughout the country but these are excluded in the figures above. The figures also exclude indoor waterpark resorts. Resort hotels have been adding outdoor waterparks to their properties in recent years, which are included in the outdoor waterparks figures shown above. As shown above, outdoor waterparks can either be a municipally owned or privately owned facility. Both municipal and private owned waterparks sell season passes. Our research indicates that the price a guest pays for outdoor waterpark season passes is determined by several things including the type of season pass being purchased, the quantity of season passes being purchased, the time of year, and the method of payment for the season pass. The following are examples of price incentives and discounts currently being offered by outdoor waterpark properties. We have analyzed season pass pricing information at 28 of the top performing outdoor waterparks based upon attendance. We have profiled the admission rates, season pass prices, adult and child’s admission rate compared to the season pass price, and the number of visits required to pay for a season pass purchase for each of these facilities. We have reviewed and analyzed the overall data and the data by region of the United States. Each of the regions studied had a minimum of five outdoor waterparks. This is presented in the following table. The adult admission prices range from $27.99 to $49.99 for all the outdoor waterparks studied, with a mean overall adult admission price of $38.14. The child admission prices range from $12.99 to $44.99 for all properties studied, with a mean overall child admission price of $29.47. All properties offer an adult admission price and a children’s admission price; however, approximately 65% of the properties did not offer a discounted child season pass. The adult season pass prices range from $47.99 to $164, with several of the properties that own adjacent theme parks only offering a combination waterpark and amusement park season pass. The mean overall adult season pass price is $91.52. The child season pass prices range from $32.99 to $119.99, with a mean overall child season pass price of $73.17. The adult admission rate as a percentage of the season pass price varied between all the properties. The percentage ranged from 20% to 77%, with a mean of 44%, and a median of 43%. The child admission rate as a percentage of the season pass price ranged from 19% to 68%, with a mean of 37%, and a median also of 37%. The number of outdoor waterpark visits it takes to pay for an adult season pass in the overall study ranges from 1.30 to 5.13, with a mean of 2.43 visits and a median of 2.34. The number of visits it takes to pay for a child season pass ranges from 1.46 to 5.34, with a mean of 2.90 visits and a median of 2.75. Our research indicates that for the top performing outdoor water parks, on average, a guest will pay for their adult season pass in less than two and one half visits. Overall, a child season pass will be paid for in slightly less than three visits. This higher visit count required to pay for a child season pass is due to properties offering a child admission while only offering a single season pass good for an adult or child. The season pass information was analyzed by region with each region in the study having a minimum of five outdoor waterparks reviewed. The Midwest region had the lowest average adult admission at $32.31 and the lowest average child admission at $20.11. However, properties in the Midwest had the highest required visits to pay off an adult season pass at 3.02 and a child season pass at 3.60. The South region had the highest average adult admission at $43.36 and the highest average child admission at $36.06. Properties in the South had the lowest required visits to pay for a child season pass at 2.49, and the second lowest required visits to pay for an adult season pass at 2.28. The West region had the lowest required visits to pay for an adult season pass at 2.15. This low required visit count is due to having the lowest average adult season pass cost at $86.59 of all four regions reviewed. Conclusion: The study of outdoor waterpark season pass prices indicates that the price a guest will pay is determined by the type of season pass being purchased, the quantity of season passes being purchased, the time of year the pass is being purchased, and the method of payment for the season pass. All of the properties in the study offered both an adult regular admission and a child’s admission; however, only approximately one third also offered a child season pass. The large majority of the properties in the survey opted to sell a season pass valid for both children and adults. A guest purchasing a season pass to their favorite outdoor waterpark can anticipate paying off the season pass purchase in less than three visits. Properties looking to competitively price their outdoor waterpark season pass, should have their regular admission be 30% to 50% of the undiscounted season pass price to generate value for the property. Authors: David J. Sangree, MAI, CPA, ISHC is President of Hotel & Leisure Advisors, a national hospitality consulting firm. He performs appraisals, feasibility studies, impact studies, and other consulting reports for hotels, resorts, waterparks, golf courses, amusement parks, conference centers, and other leisure properties. He has performed more than 1,000 hotel studies and more than 200 indoor and outdoor waterpark resort market feasibility and/or appraisal studies across the United States and Canada. Mr. Sangree received his Bachelor of Science degree from Cornell University School of Hotel Administration in 1984. He became a certified public accountant in 1989. He became an MAI member of the Appraisal Institute in 1995 and a member of the International Society of Hospitality Consultants in 1996. Since 1987, Mr. Sangree has provided consulting services to banks, hotel companies, developers, management companies, and other parties involved in the lodging sector throughout the United States, Canada, and the Caribbean. He has spoken on various hospitality matters at seminars throughout the United States and on Good Morning America and CNBC. Mr. Sangree was named in 2008 one of Aquatics International Magazine’s “Power 25.” Aquatics International publishes an annual list of professionals it deems the most powerful people in the aquatics industry. Mr. Sangree was profiled as one of the first consultants serving the waterpark resort industry and for his expertise and experience in shaping some of the latest industry trends. Mr. Sangree would like to acknowledge the assistance of John S. Collins for the article.